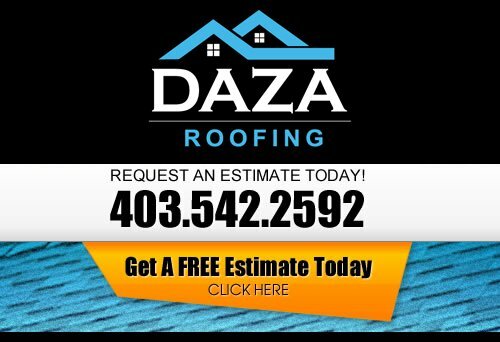 Here at Daza Roofing we strive to exceed our customer’s expectations by providing them with the highest quality service with the best craftsmanship available. Daza Roofing continues to hold an excellent reputation based on providing quality products and unsurpassed service. Without a quality product backed by excellent customer service, a business will not realize great success. Therefore, we set our standards of quality, value and customer service to the highest degree. we go the distance to ensure your experience with Calgary Roofing Company is a pleasurable one. Our job is to provide you with a completed roofing project, and advise you on ways to save money, without cutting essential costs. With our experience in this industry, we have learned who to rely on for quality materials, and services. We offer a wide variety of roofing services from building a whole roof to partial repairs and from residential roofing to commercial projects. We will work with your insurance company on roofing claims. Our Calgary Roofing Contractors are true professionals in their field. In these tough economic times, we understand how important it is to get your moneys worth out of any project you take on. We have the perfect roofing solution for your home. Remember, we are here to help, and we are committed to serving you with prompt, valuable and effective products and services. We hope you will contact us for all your Calgary roofing improvement needs. If you are looking for more information about a professional Calgary roofing company, then please call us today at 403-542-2592 or complete our online request form for a free estimate.